Even though an increasing number of our records are stored online these days, most of us still have important paper documents in our homes. Things like birth certificates, social security cards, insurance policies, tax documents, and savings bonds may be difficult or impossible to replace if the originals are destroyed. They may be the last things on your mind when a fire or flood ravages your home, but being without them only adds to your problems. I know several people who store these documents in wooden desk drawers with nothing in place to protect them from fire or water. I constantly remind them that losing those documents could someday make a bad situation even worse. I’d like to share some tips with you to help you avoid such a catastrophe. First off, don’t store sensitive documents in the basement like I did. 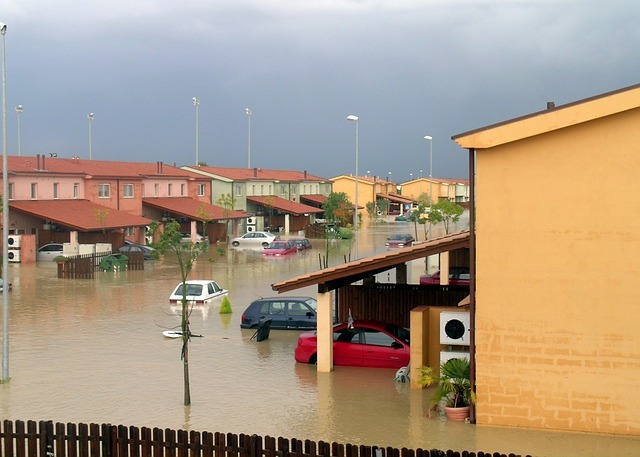 Most homeowners are aware that basements are prone to flooding. I failed to take this into consideration when I stashed away that file folder of personal documents in the bottom drawer of a spare filing cabinet in the basement. A few years later, my water heater spewed an ocean of water into the basement while I was at work. Of course, my biggest concern was that my basement floor was ten inches underwater. But after the water was pumped out and the floors dried, I was dismayed to find that my documents had been turned into a pile of soggy paper pulp. Getting new copies of them was not easy. This could have been avoided had I stored them in an upstairs room where they would be safer from flooding. However, just placing your records upstairs does not mean they are 100% safe. No room is completely safe from fires or rain leaks. To protect against these things, place your documents in a water and fireproof safe. Many smaller models are available that are designed to hold a few important papers. They are quite affordable and easy to mount to a desk or shelf. The construction is quite robust as well; a thief will have a hard time breaking into one of these. Another option, perhaps in addition to purchasing a fireproof safe, is to store copies of your documents in a secure location outside of your home. One of the most popular ways to do this is by renting a safe deposit box at your local post office. These boxes are very secure, so you need not worry about thieves getting their hands on them. The likelihood of a fire destroying the documents is also quite low due to the advanced fire sprinkler systems in most public buildings. Storing your important documents in digital form can make this entire process easier; you can simply upload them to a USB thumb drive and place it in the safe deposit box. Perhaps this will all be unnecessary someday when computer files replace all paper documents. For the time being, taking these precautions is a wise move on your part. I hope you will find these tips useful when securing your records and documents.